EMBROIDERED 16x25 Golf Towel made of 100% Combed Cotton Loops by Royal Comfort. EMBROIDERED 16x27 Economy Hand Towels by Royal Comfort. 2.7 Lbs per/ dz. weight. 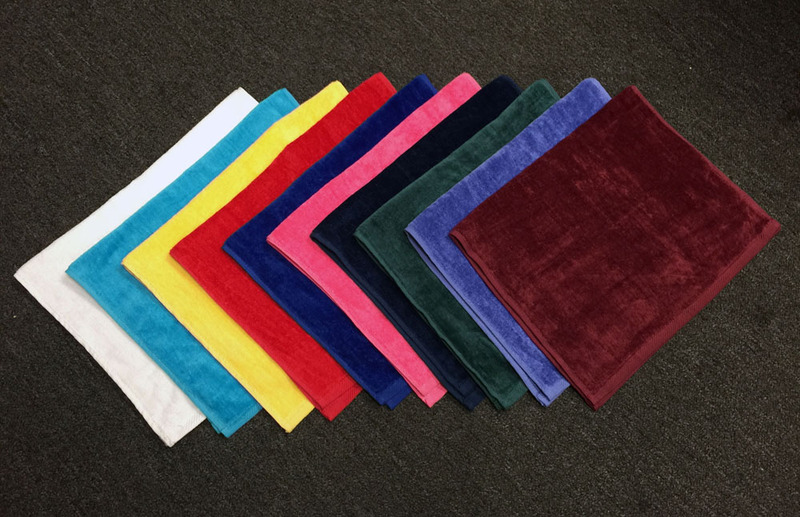 EMBROIDERED 16x30 Hand Towels by Royal Comfort. 4. Lbs per/ dz. weight.